Hardwick Fence is located on Remember When Farm (also owned by Donna Sparks) in St Augustine, FL. With several horses of our own, we understand the importance of a well-built equestrian fence. If you are considering purchasing fencing for your horses or for your farm, our knowledgeable and animal-loving staff will be happy to assist you! We also offer electric fence in tape and ribbon. 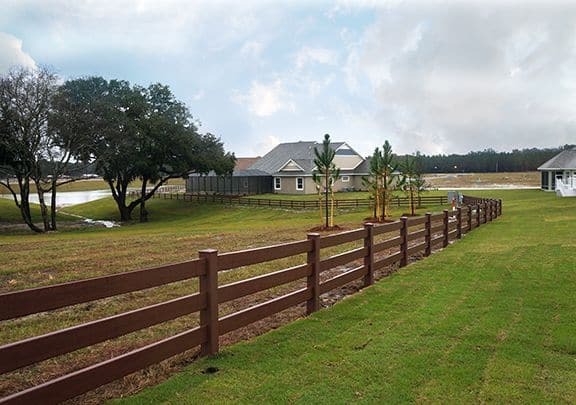 We have had the opportunity to install fencing for many farms, equestrian centers, wildlife reserves, humane societies, and animal lovers in a variety of applications. Call us today to find out how we can help you protect the animals you love!